Norm Christmas Cards – now for sale on Etsy! Halloween is over, the evenings are quickly darkening, and there are only 7 weeks until Christmas – so the time has surely come to get your Christmas cards in order. Here on the Daily Norm, we like to help out with these little things, and in the spirit of spreading the Norms’ reach criss-crossing around the globe this festive season, the Norms have printed their very own Christmas cards in the hope that readers of the Daily Norm from around the world will also help to spread a little Norm festive cheer this year. 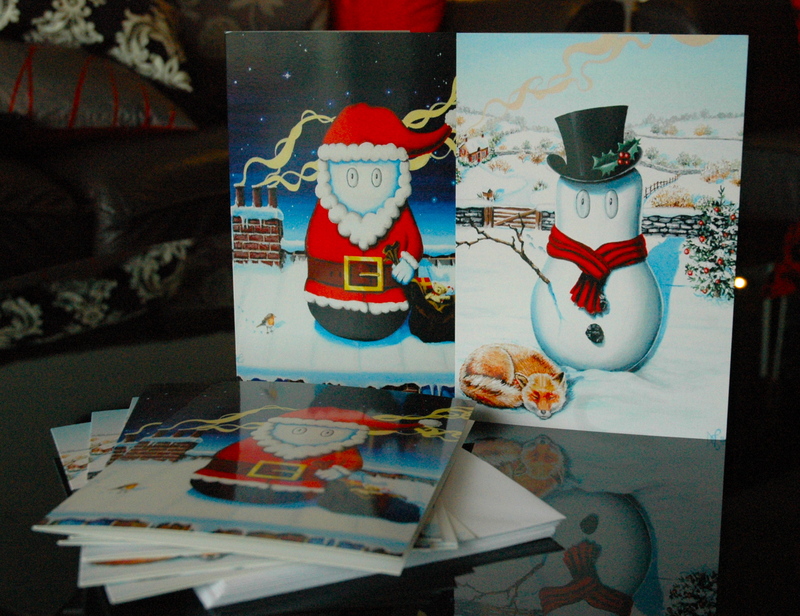 Hot off the press, these Christmas cards are prints of my 2011 paintings, Santa Norm and Snowman Norm. With whimsical, quirky, colourful and Christmasy artwork, these cards are both original and artistic ways of wishing your friends, family and associates a very Happy Christmas. With these cards, you will truly be sending a work of art this Christmas! The Cards consist of a high quality, semi-gloss image printed onto sizeable A5 cardboard (148 x 210 cm/ 8.3 x 5.8 inches). 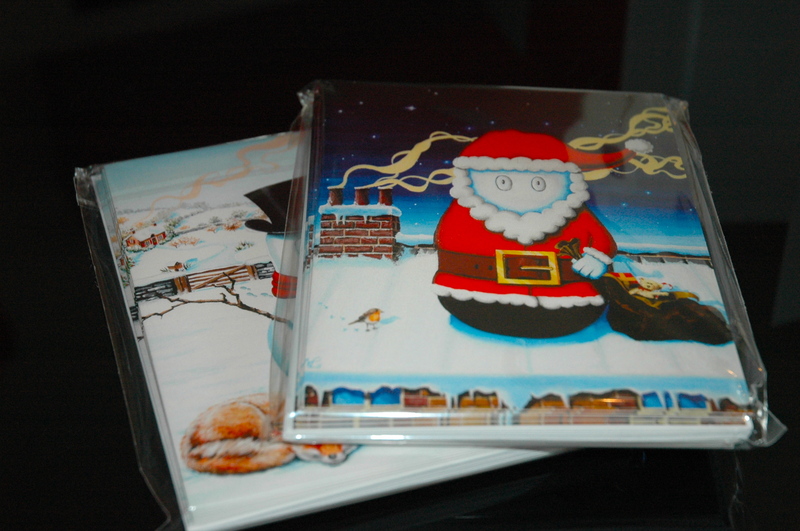 Each cellophane wrapped pack of 10 cards comes with 5 cards of both the Snowman and Santa Norm design and 10 matching white envelopes. 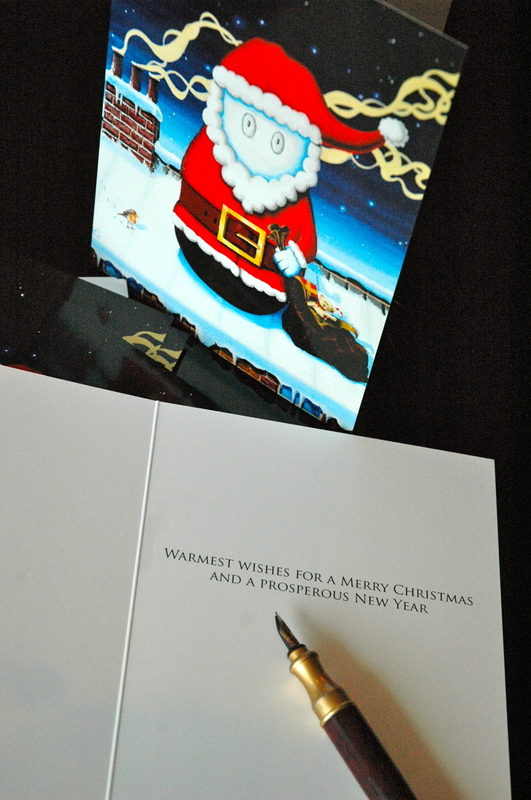 The inside of the cards reads: “WARMEST WISHES FOR A MERRY CHRISTMAS AND A PROSPEROUS NEW YEAR”. And most importantly of all, they are available on my Etsy shop right here! Now I don’t mean to turn my blog into a sales room, but since Norm is the new Holly (not to mention the Ivy), these cards are pretty much a must for those in the know this year. Need I say more? Seasons greetings from the Norms (it’s early I know, but Norms are very organised creatures).